Edgar Hansen, deck boss and chief engineer on the fishing vessel Northwestern, featured on the popular TV show "Deadliest Catch," will make a special appearance at the new West Marine Store, 1401 Marina Bay Drive in Kemah, on Saturday, July 14, from noon to 2PM. Hansen will be signing autographs and selling Northwestern t-shirts and caps. To celebrate Edgar Hansen's appearance in the store, there will also be free hot dogs, soft drinks and some special raffle prizes. CLEAR LAKE, TX - West Marine (NASDAQ: WMAR) the largest specialty retailer of boating supplies and accessories in the U.S., announces the grand opening May 3-6, of the first West Marine flagship Store in Texas at 1401 Marina Bay Drive in Kemah. Grand opening events will take place from 8 AM to 9 PM Thursday through Saturday, May 3-5; and from 9 AM to 7 PM, on Sunday, May 6. At 25,000 square feet, the Store will include the largest high-tech marine electronics selection in the state of Texas, and a huge selection of casual and technical apparel and personal accessories for your life on the water such as sunglasses, waterproof watches and high tech shoes. The new Store also includes a 2500 square-foot fishing section with a Fishing Shack for local anglers, which will focus on saltwater fishing, both in Galveston Bay and the Gulf of Mexico. Knowledgeable Associates will be on deck to offer advice, information and assistance in selecting the right lures and reels for the Upper Texas Coast area. The new Store also features an on-site sailboat rigging shop with an expanded sailboat hardware department, plus an engine parts counter staffed by specialists, kayaks, inflatable boats and a motor shop. Store Manager and Clear Lake resident Nolan Vander-Haagen has been with West Marine for over 18 years. A lifelong boater and fisherman he has enjoyed the waters from the Gulf of Mexico to the Caribbean to the Atlantic Ocean. "The entire Clear Lake West Marine crew is eager to serve our customers at our new location," says Vander-Haagen. "We will offer everything needed, in terms of fishing gear, engine parts, clothing - whatever makes for a great day of boating and fishing, whether on Galveston Bay or the Gulf of Mexico," Vander-Haagen adds. There will be 30 Associates at the new West Marine with over 330 years of combined boating, fishing and sailing experience and over 50,000 nautical miles under their collective belts. ABOUT WEST MARINE West Marine (NASDAQ: WMAR) the largest specialty retailer of boating supplies and accessories, has more than 310 company-owned stores located in 38 states, Puerto Rico and Canada and three franchised stores located in Turkey. Our call center and Internet channels offer Customers over 75,000 products plus the convenience of exchanging catalog and Internet purchases at our Store locations. Our Port Supply division is one of the largest wholesale distributors of marine equipment serving boat manufacturers, marine services, commercial vessel operators and government agencies. For more information on West Marine's products and store locations, or to start shopping, visit westmarine.com or call 1-800-BOATING (1-800-262-8464). 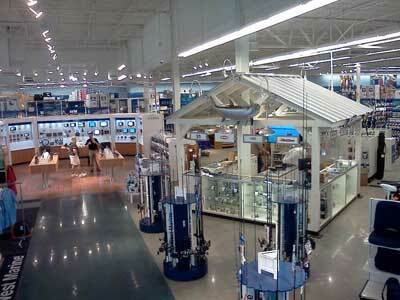 West Marine held a weekend long Grand Opening of their largest flagship store in Texas that began Thursday, May 3. To kick off the Grand Opening, West Marine held a "Cruising for a Cause" charity event. It included live music by local musician Kelly McGuire, a raffle and the auctioning of a fishing trip with Edgar Hansen from the Discovery Channel's "Deadliest Catch." The Grand Opening raised over $13,500, which went directly to the charities involved in the event. CLEAR LAKE, TX - West Marine, the largest specialty retailer of boating supplies and accessories, today announces a search for Texas marine-based non-profits to be the beneficiaries of the "Cruising for a Cause" charity celebration set for Thursday, May 3rd from 6:00 - 9:00 pm. 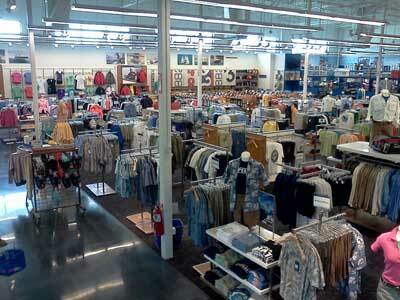 The festivities will be held at the newest Clear Lake flagship Store at 1401 Marina Bay Drive in Kemah. In keeping with the company's mission of protecting our waters and supporting local boating non-profits across the country - West Marine is eager to work with the Bay Area charities that serve the local boating, fishing and sailing community. 100% of the proceeds from ticket sales to the "Cruising for a Cause" event go to the local charities. West Marine holds similar events around the country that help charities as varied as local non-profit youth-sailing clubs, beach clean-up expeditions, and organizations that preserve local marine life among others. "We are eager to hear from marine-based non-profits who would like to participate in 'Cruising for a Cause.' The Clear Lake crew is ready to have fun while raising much-needed funds for marine-based charities based in the Bay Area of Greater Houston," said Store Manager, Nolan Vander-Haagen. The evening's festivities will include food and entertainment. Non-profits picked as beneficiaries may also include a limited amount of silent auction items with the proceeds donated directly to their charity.